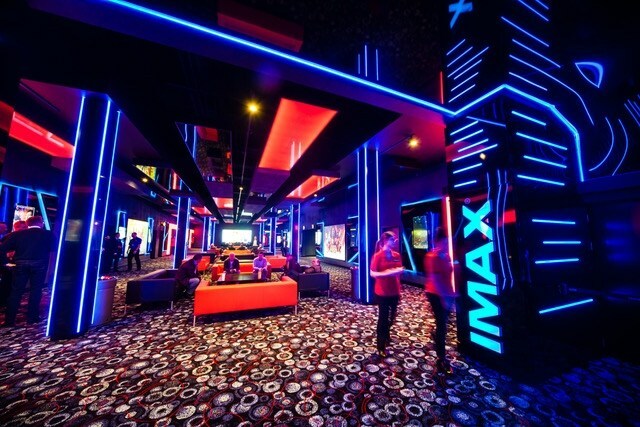 Las Vegas, NV (April 24, 2018) – IMAX Corporation and Cineworld Group PLC, including its Regal Entertainment Group subsidiary, today announced a binding letter of intent to install IMAX’s new ground-breaking laser experience for commercial multiplexes in 55 of the exhibitor’s locations across the U.S. and Europe. The announcement coincides with the launch of the next-generation of IMAX with Laser, the Company’s most advanced commercial projection system to date designed to transform the premium blockbuster moviegoing experience. IMAX with Laser provides audiences with strikingly crystal-clear and vivid images to suspend disbelief when experiencing today’s biggest blockbusters. The next-generation 4K laser projection system features a new optical engine and suite of proprietary IMAX technologies that delivers increased resolution, sharper and brighter images, deeper contrast as well as the widest range of colors available to filmmakers to present more distinct, exotic colors than ever before. The new system will also feature IMAX’s 12-channel sound technology that incorporates new side and overheard channels to deliver greater dynamic range and precision for ultimate audio immersion and sound you can feel.